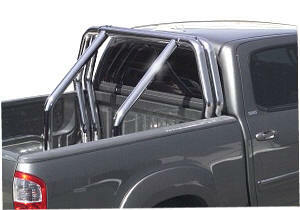 Go Rhino Bed Bars customize your truck with off-road style. Constructed from 3” diameter steel tubing, these bed bars stand tough. 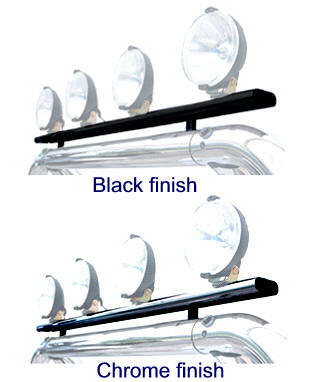 And, they come in black powder coat, chrome or polished stainless to trick out any truck. When you install your Go Rhino Bed Bars, two things are true: the sheer size of these bars gives your truck an intimidating edge, and their complete bolt-together construction installs with no exposed welds. What's more, Go Rhino’s got you covered when it comes to preventing wear. 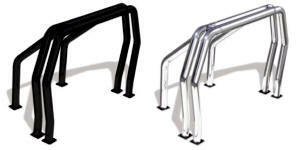 These bed bars are equipped with hard plastic gaskets to prevent any metal-to-metal contact. And, you can choose your Go Rhino Bed Bars in single or double-bar style to get the right look for your truck. Made to bolt on top of your bed bars without modification. 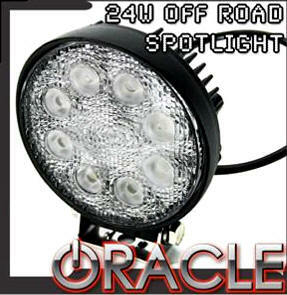 Holds up to 4 Lights. Lamps not included sold separately see below. • Backed by a 2 Year Warranty.